Our Weekly Wednesday Wedding Tips from April to August! We’ve compiled the past few months into one big blog post, enjoy these tips and don’t forget to scroll down and read the earlier months tips! Play with doubles. Consider a venue that can hold the ceremony and reception, this way you can use one set of flowers for both. Double sided menus save paper. Jars and vases can be used in your home afterwards or little vases can be given as gifts to the guests. Another idea is to print/embroider their name onto their napkin and they can take it home afterwards. Use lots of inexpensive candles/tealights and fairylights to create a magical feel. Use lanterns and pretty candle holders as table pieces to minimize the flower use and thus the costs too! Opt for a buffet or food stations where guests can help themselves. This saves money where you don’t need waiters! Jugs or bottles of water on the table will help with thirst quenching and hopefully keep the bar tab lower. If you aren’t set on having fancy transportation and don’t need to travel between venues, then use your own car or ask a family member or friend to help out. Guests don’t always see the transport anyway! To save some money, you could opt for an equally as beautiful white dress instead of a wedding dress and if necessary you can add some ribbon/lace or accessories that make it more of a wedding dress. Buy second-hand decor to save some money! So many people buy wedding decor and end up using it once for their wedding and that’s it, you can always sell it or pass it on afterwards as well. Using new venues or service providers can save you some money! Some new venues have a lower price as they have less add ons. The same goes for service providers as they are just starting out and are looking for the experience as well. Being a newbie most likely means they don’t have a load of clients and can put more time into your special day! Always have a plan B in place for your venue. If your wedding is meant to take place outside, make sure you have an inside option as well, including the décor etc. You may even want to have a plan B venue list to keep handy just incase your venue has a problem at the last minute – this saves you a lot of time when it comes to looking up numbers! Choose your photographer wisely! Research it and consider engagement photos as well. 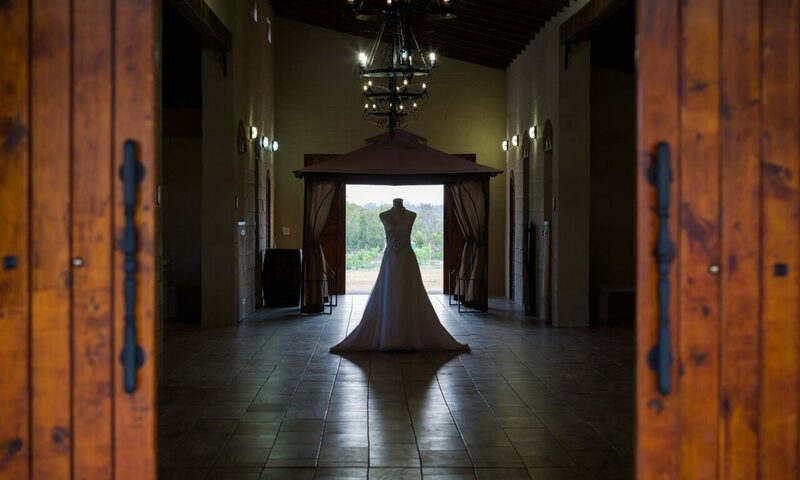 This allows you to work with the photographer before the wedding and they’ll get to understand what you want. Spend time on your menu! Food makes up a great part of the reception and you don’t want your guests to go hungry! Hangry guests are never pleasant! A good eating plan is never a bad idea ever, but especially before your wedding! It’ll help you to feel at your best, but don’t overdo it, you want to be healthy for the wedding. Don’t go overboard on the makeup. You’ll need to wear heavier makeup than usual for the photos but you don’t want the orange fake tan or eyebrows that are too bold and want to jump off your face nor do you want barely there eyebrows! Remember that you’re going to look back at these photos in a few years time. A wedding is often seen as the bride’s show. She is the one who loves to plan and can easily get carried away. Don’t forget the groom! It’s his wedding too and there may be some areas that he’s really keen to get involved in. Create a personalized program on your own stationery to add a simple personal touch to the wedding. This will also be eye-catching and you can put the important details in there and ensure people read them! Use a wedding app or ask guests to use a specific hashtag so you can get and keep track of your photos. If you can afford it, a welcome basket for guests who travel from afar, is a great way of showing how much you appreciate them being there! These can include small things like a bottle of water, a few snacks and a list of resources, like the nearest drugstore, grocery store, coffee shop etc. Greet your guests. This may seem like an obvious one, but it’s an important one. Personally greeting your guests goes a long way to show how much you appreciate them being there. Create the best seating plan that you can. Try and group as many people as you can with people of similar backgrounds or group them with people they know and get along with. This will ensure that they have a great time too. Have a signature cocktail or two. By serving one or two flavours chosen by the bride and groom, it’ll add a nice personal touch to the wedding. While choosing, also consider flavours that will cater for a wide variety of tastes. It’s important that your guests are comfortable. Consider offering something along the lines of a towel/cloth to guests between the ceremony and reception. Depending on where the wedding is, you can offer different things, such as cute umbrellas if you’re outside or blankets if it’s somewhere cold. This sums up the published wedding tips from April to August! Feedback is always welcome and we love to hear about your tips too! Our Weekly Wednesday Wedding Tips of March! 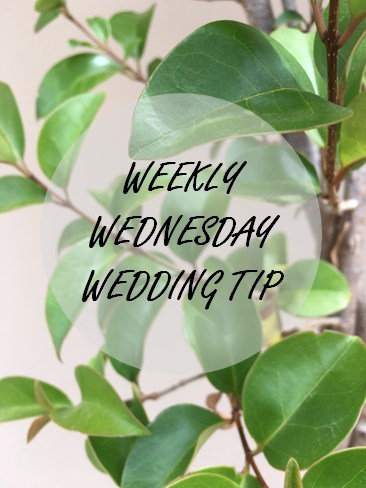 Another month of “Weekly Wednesday Wedding Tips” has passed so here is the lot grouped together. Enjoy! Ask friends and family for help! If you have a talented friend who can design the invite or create something to your taste for the décor, then utilize their skills. This makes it fun for them to help you and adds a personal touch to your wedding. Use e-invites to save some money on the invitations, directions and details! Borrow and share between friends and family. Veils and accessories can be used between anyone and if a friend has some décor you could borrow, ask and they could help you save some money! In reverse, if you have a friend who’s getting married and have something you think they’d like to use, then offer it to them.